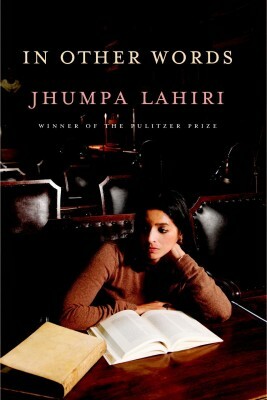 I have heard a lot about Indian origin author Jhumpa Lahiri, might have even read some of her work in the past, but when I got my hands on this book, it had been a really long time since I had read anything written by her. Also, to note, I am mostly an avid fiction reader, and non-fiction is something I usually avoid, but one of my last read - Big Magic, had got me more inclined to read non-fiction. In Other Words is at heart a love story - of a writer's passion for another language. For Jhumpa Lahiri, that love was for Italian, which first captivated her during a trip to Florence after college. Although Lahiri studied Italian for many years afterward, true mastery eluded her. So in 2012, she decided to move to Rome where she began to read, and to write - initially in her journal - solely in Italian. In Other Words, an autobiographical work written in Italian, investigates the process of learning to express oneself in another language and describes the journey of a writer seeking a new voice. First to talk about the cover, an absolutely elegant looking hard cover with the author herself posing deep in thought. I'm so inspired by her, taking on a challenge of not only learning but solely writing in another language altogether and having someone else translate the book for her in English. Bravo! Her story and journey towards the love of Italian is so inspiring, I am determined to learn a new language of my own (Though not Italian, from what she's told, it seems pretty tough!) In the entire book she's taken the readers through her struggle, both internal and external; and how she didn't give up and kept following her dream and passion, however insane it seemed. If you are an aspiring author, or love to write, or love to learn different languages, or travel; you will enjoy this book and it will definitely ignite a fire within you too. Get the book on Flipkart, currently at a 30% discount. eBook available too. In a country like India, vastu shastra home is considered one of the basic requirements while constructing a property or building according to pre-specified principles. It is necessary to follow these principles for wealth, health, fame and prosperity in life. Though it has become difficult to follow each and every principle in the present era, it is important to make maximum use of tenets in order to achieve peace and harmony in life. In a country like India, vastu shastri is considered one of the basic requirements while constructing a property or building according to pre-specified principles. It is necessary to follow these principles for wealth, health, fame and prosperity in life. Though it has become difficult to follow each and every principle in the present era, it is important to make maximum use of tenets in order to achieve peace and harmony in life.